Useful Groovy Scripts. Part 2. 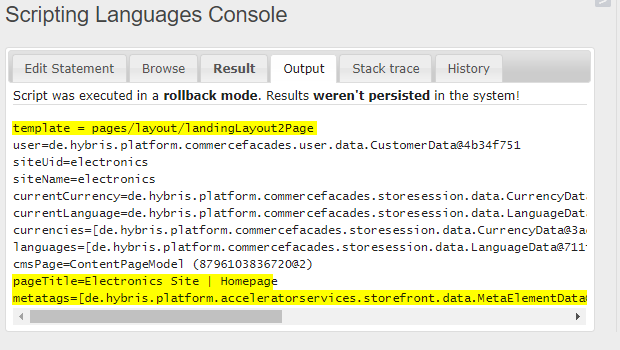 The Groovy console is a very handy tool to develop and run scripts inside hybris without touching the source code. It is a very powerful tool for debugging purposes, especially if you need to troubleshoot the remote system. In this article, I collected some of the scripts I use regularly in my work. Certainly, all of these scripts are NOT for production use. These are just for troubleshooting and debugging purposes. 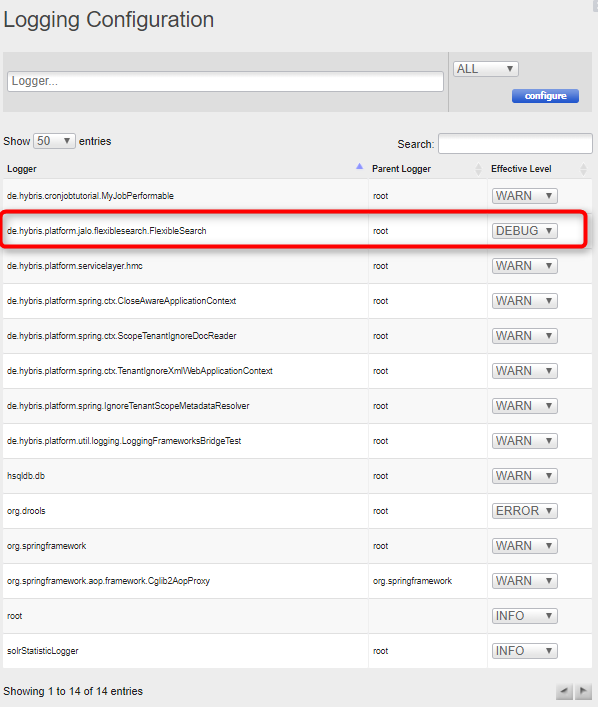 In order to turn the logging on for any particular class, in the latest versions of SAP hybris Commerce normally you need to make some changes in local.properties and restart the server. After adding the class into the list, you will be able to turn off and on the logging for this class using HAC. However, sometimes we need to turn on the logging temporarily, just to troubleshoot. It is a very common scenario. So I believe, my solution will make things easier for the developers. You can activate and deactivate a bunch of loggers in one go. 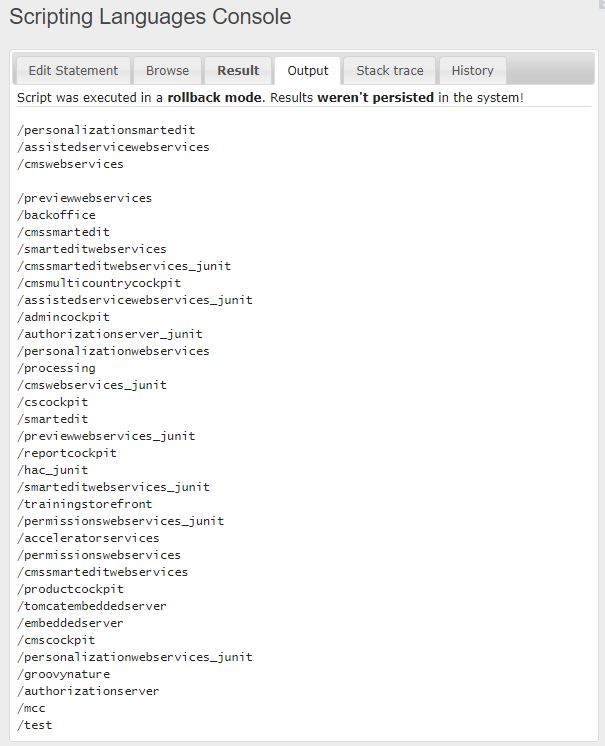 The default example from the Groovy Hybris Scripting shows only the beans accessible from HAC. The list is quite short and not very useful. The code below shows the beans from any particular context. You may want to execute a method from the controller bean. Normally, it is not possible, because the bean is not accessible, the context is not set up properly etc. The code below that it is feasible. 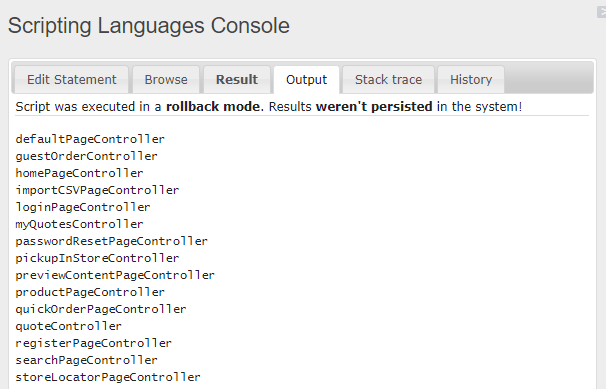 We can see in the output that some model values were set by the home page controller. The controller returns a name of JSP template, and you can find it in the output as well. The code below shows all request mappings from all controllers of the particular context. We can see a list of contexts. For each context, you have appContext.